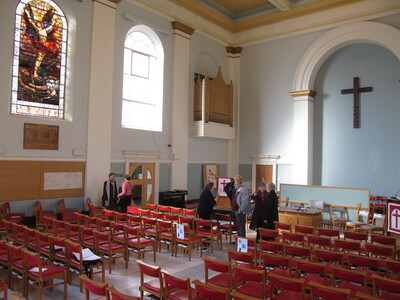 The Kingston United Reformed Church Sanctuary is the largest space in our building. It offers excellent acoustics for musical events and has a fine three-manual pipe organ – a very rewarding instrument to play, and ideal for accompanying choral music. We also have a versatile Yamaha Clavinova CVP-103, a sound system with radio microphones and an induction loop. There is projection capability, and mobile staging by Sico Europe Ltd is available. Additionally, we have a modern Schimmel medium grand piano.